(18/P047) TRENTON – The Department of Environmental Protection is awarding $19.4 million in annual Clean Communities grants to assist municipalities and counties with litter cleanup activities and programs that beautify communities and enhance quality of life, Acting Commissioner Catherine R. McCabe announced today. The DEP is awarding more than $17.2 million to eligible municipalities and nearly $2.2 million to the state’s 21 counties. 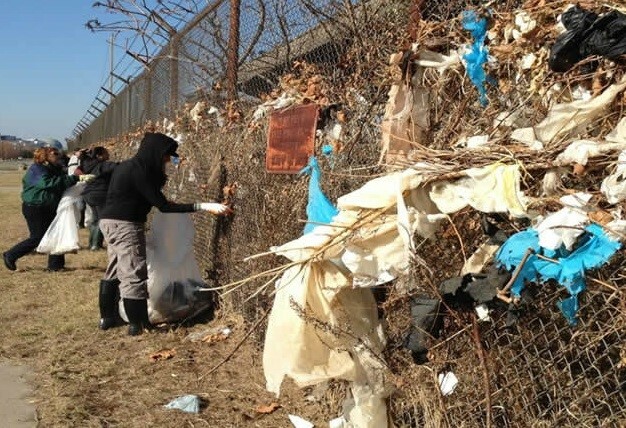 The nonprofit New Jersey Clean Communities oversees reporting requirements for the program. Grants are funded by a legislated user-fee on manufacturers, wholesalers and distributors that produce litter-generating products. Disbursements to municipalities are based on the number of housing units and miles of municipally owned roadways within each municipality. Newark (Essex County), $401,583; Jersey City (Hudson County ), $371,385; Toms River (Ocean County), $209,273; Paterson (Passaic County), $179,928; Hamilton Township (Mercer County), $177,004; Edison Township (Middlesex County), $166,404; Elizabeth (Union County), $164,999; Woodbridge Township (Middlesex County), $163,272; Brick Township (Ocean County), $158,713; Middletown (Monmouth County), $143,055; Cherry Hill (Camden County), $140,976; Trenton (Mercer County), $132,574; Clifton (Passaic County), $128,937; Vineland (Cumberland County), $123,965; and Franklin Township (Somerset County), $122,514. Also, Berkeley Township (Ocean County), $121,496; Vineland (Cumberland County), $123,965; Camden (Camden County), $118,240; Gloucester Township (Camden County), $116,590; Old Bridge (Middlesex County), $112,124; Howell Township (Monmouth County), $109,473; Jackson Township (Ocean County), $106,770; Parsippany-Troy Hills (Morris County), $103,698; East Orange (Essex County), $103,014; Manchester Township, (Ocean County) $102,474; and Wayne Township (Passaic County), $100,119. The counties receiving the largest grant awards are: Ocean, $199,522; Cumberland, $173,950; Burlington, $162,643; Bergen $141,754; and Gloucester, $131,157. Litter comes from a variety of sources, such as pedestrians, motorists, overflowing household garbage, construction sites and uncovered trucks. Litter is often blown by the wind until it is trapped somewhere, such as along a building or fence, or in a ditch, gully or culvert. People tend to litter when an area is already littered, and when they lack a sense of ownership or pride in their community.